Do you consider yourself to be someone who is ‘outside the box?’ Are you a major fan of pizza in every way? 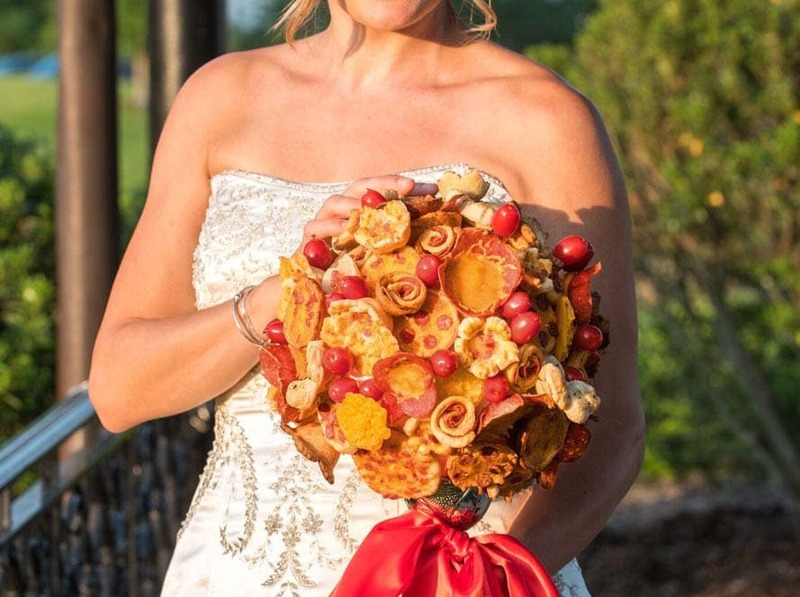 If so, then this new and dazzling pizza bouquet is perfect for you on your wedding day! The bouquet was designed by an American pizza franchise known as Villa Italian Kitchen. They decided to come up with this creative and, well, shall we say unique, idea for a bridal buquet as a way to treat brides who get peckish down the aisle. The pizza bouquet has obviously garnered a lot of attention since its release, as a lot of people thought it was a joke at first. Then they realized that the bready bouquet was available as part of a giveaway! We know that women, in particular, are the most concerned about every detail of their wedding day. From worrying about the dress and bridesmaids to the seating arrangements and the photographer (not to mention the weather), there’s a lot of reasons for brides to get stressed. So we really love the idea of letting go and having some fun with the whole thing. After all, the idea is to make the day a memorable one! To date, the pizza bouquet was a once in a lifetime opportunity, but seeing that the post attracted so much attention online, it wouldn’t be surprising to see the company offer the bouquet again. Plus, at least now you know that you can special order one for yourself – which is great news for any new couples who want to say ‘pie do’ anytime soon! 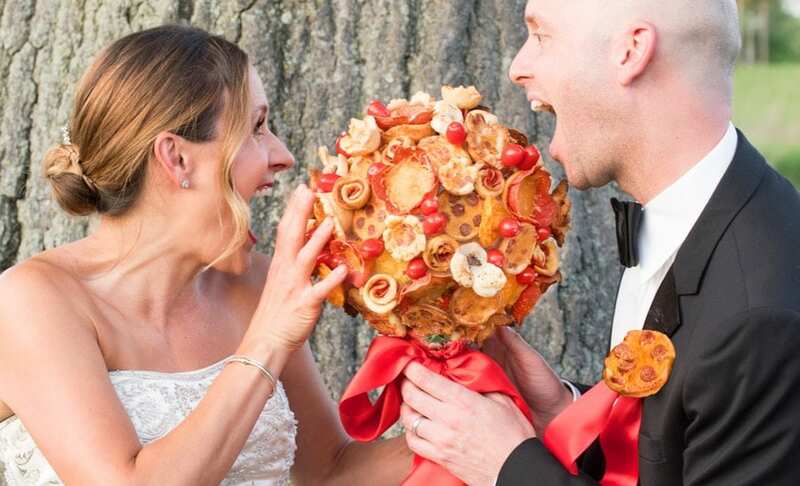 As weird and wacky as the pizza bouquet may seem, we really love the idea of doing something different for your wedding day. Be bold, be daring – try a pizza pie for a wedding bouquet!